Earlier this year, Kim at Secret Base Games revealed an innovative way of shipping items produced in China directly from China to individual backers around the world by working with a company called Send from China. The concept was heralded as a simpler, less expensive way of reward fulfillment. I like to either test things myself or get a few unbiased opinions before I vet fulfillment methods on this blog, so when I heard that Brian Henk at Overworld Games–one of the smartest crowdfunders I know–was using Send From China on two of his games, I asked if he would write a guest post about his experience. I was particularly curious to see if Brian would continue to use them for his current Kickstarter game, Booze Barons. Thanks for your insights, Brian! 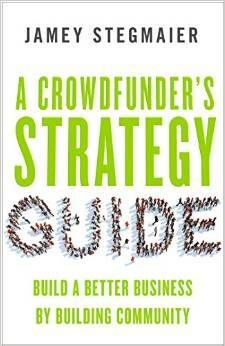 Fulfillment is an absolutely critical part of your crowd-funding campaign, but it’s not very exciting to learn. If you’re curious about it, let me make it easier on you with a summary of my experience using Send from China to fulfill two Kickstarter campaigns for Overworld Games: New Salem (bigger box) and Good Cop Bad Cop: Bombers and Traitors (smaller box). Now that both campaigns are fulfilled, I wanted to take a look back at what went well, what didn’t, and whether Send from China is a fulfillment option you should consider for getting your rewards out to your crowd-funding backers. When I first heard about a fulfillment company in China, my eyes grew wide as thoughts of what this could mean for our company and others began flying through my mind. My first reaction was that this could revolutionize the tabletop game industry, at least for those of us who manufacture in China and have a business model that relies heavily on crowd-funding. The main reason I felt this way was that Send from China has a fulfillment center in the same city as where our games (and likely yours) are manufactured: Shenzhen, China. If you don’t manufacture in the same city, it’s probably at least in the same country and a heck of a lot closer than the fulfillment company you would otherwise use. Instead of finishing manufacturing and then having our backers wait for ~6 weeks for the games to travel by boat to a fulfillment company in the US, we can start fulfilling Kickstarter copies to backers a few days after manufacturing completes! This can dramatically shorten your campaign schedule. In fact, if we had executed the fulfillment strategy we planned when launching our New Salem campaign, we would have delivered late, but since we used SFC, we were able to get it to some of our backers by the original delivery date and the rest of them shortly thereafter. Thanks SFC! After getting our Kickstarter copies to the SFC fulfillment center, we shipped the balance of games to the US for traditional distribution. This happened in parallel to Kickstarter fulfillment, so backers got their copies about a month before stores. This was a nice bonus for our backers and helped build buzz for sales in distribution. Just as retailers are deciding which games to buy for their store and how many copies to order, they’ll start hearing about this new game called… what’s your game called again? We used Panda for manufacturing New Salem, and they have worked out a partnership where SFC will pick-up games from Panda’s Shenzen plant for free. Wow! We used AdMagic for manufacturing Bombers and Traitors and they were able to match that service by delivering from their plant to the SFC fulfillment center, free of charge (although this may have been an exception rather than a standard service they offer). My point here is that if your manufacturer is in China, they will be able to get your games to SFC for free or at least much cheaper what it would cost you to send them to a fulfillment center in the US or EU. This is potentially a massive cost savings for you, and getting it to your backers so much sooner might be even more valuable. In addition to cost savings by fulfilling near your manufacturing plant, SFC has more than competitive pricing on postage. Upon order creation, you choose the carrier that sends each package, which determines the time it will take and the amount it will cost. They have a very nice shipping calculator where you can put in the destination country, the weight, and the dimensions, and you will get a list of the available carriers and an estimate of the cost. If this was the only cost, these prices will easily beat Shipwire, Amazon, or any of the other options I have seriously considered for fulfillment. However, there are some other costs to consider as well. They deal only in Chinese Yuan, so you’ll have to get your currency converted when you add it to your SFC account. They will convert it for you for a 5% fee. Payments are only accepted through PayPal, resulting in a fee of around 4%, which they pass on to you. You will pay for a monthly plan at their warehouse, which varies depending on how much cubic space you use and how many SKUs you have there. While I was doing fulfillment of these two games along with two additional SKUs, we were paying about $50 USD per month. If you ask them to package your items in a special way, they will charge you for it. To upgrade New Salem from a shipping bag to a box, it was about $0.22 USD per item shipped. Depending on the carrier and service you use from that carrier, you may also be charged for shipping insurance. This is usually the insured value of the items plus shipping multiplied times .6%. For New Salem, this was around $0.28 USD per shipment. Deciding on the carrier and shipping service to use for each destination is a tough decision. We basically used the least expensive option that provided tracking, which was different depending on the destination country. This will take some serious time to research, choose, and update in the Send from China bulk upload template. Following are some rates for Bombers and Traitors (9.17oz, 6”x4”x1.2”), not including the other various fees above. Here are some rates for New Salem (28.6oz, 11”x10”x2”), again, not including the previously mentioned fees. Note that these are not EU-friendly rates and you have to pre-pay funds to your SFC account before they will begin shipping anything for you. Even with the annoyance of having to pre-pay and all of the little fees they add, the price is still going to beat most other fulfillment options. Since you’re likely using different carriers for each country, and some of these fees (like packing or warehouse plan changes) will happen during fulfillment, it can be hard to know exactly how much it will cost until you’ve passed the point of no return. So when you’re building your campaign’s financial model, add in some cushion for unexpected costs. So… here is where I have to admit that I made a terrible mistake. I did not specify the type of packaging to use for shipping either game because I assumed they would know best. This is all they do after all – they should be experts. I now believe their main focus is on price, not on ensuring packages are delivered in pristine condition. If I were shipping extension cords or socks, my focus would be on the former, but I’m shipping something that people often proudly display on their game shelf, so my focus is on the latter. The result was that both New Salem and Bombers and Traitors were put in a plastic shipping bag lined with a thin layer of bubble wrap. This was sufficient for the smaller (6”x4”x1.2”) Bombers and Traitors as we only had almost zero instances of box damage when it was shipped alone. However, the larger (11”x10”x2”) New Salem was a disaster. We had about 800 backers who backed for a copy of New Salem on either its campaign or the Bombers and Traitors campaign. We sent them out in two waves, each of about 400 copies. Once we started getting reports of damage from the first wave, we held off on the second wave. We asked everyone with New Salem box damage to send us pictures of the damage. We received 17 pictures from that first wave (9%) that showed significant damage to their box. I read comments from many others who had box damage but many weren’t very concerned about it so they did not send in pictures. Overall, I estimate we had over 15% of our backers receive a box with some kind of damage in that first wave. This is absolutely and completely unacceptable. I have never felt so ashamed that our backers who supported us and trusted us to find a way to deliver their game to them received a damaged product. We talked to SFC about the problems and they promised to put them in a standard box and pack them very carefully in the second wave. We had zero backers notify us of any kind of major damage as of the time of this writing. We offered partial refunds to our backers with damaged boxes, and after some long discussions, SFC did reimburse us for some of the shipping costs, but the most important cost goes far beyond the financials. The moral of the story is that if you do use SFC, be extremely specific about how it must be packed… or take a monumental hit to your bank account, your brand loyalty, and your heart. When we fulfilled our campaigns with SFC, they did not have an EU-Friendly option, which was a major drawback. I was happy to hear that in early August 2015, they announced a new carrier option that will fix that problem by shipping to Amsterdam and then to your EU backers from there. As of the time of this writing, they do not have a similar option for “friendly” shipping for any location other than the EU. One question you may have while reading this is whether there is a language barrier when communicating with SFC. The answer is unquestionably a yes. But you can work around it by asking more clarifying questions when you don’t understand a response and by reserving time in your schedule to accommodate waiting for responses from a different time zone. SFC responds Monday-Friday only and are roughly 15 hours ahead of my time zone here in California. So if it’s 10am in San Francisco, I know it’s 1am the following day in Shenzen. I usually received a response the following business day, but sometimes it takes 2 business days or required a follow-up email. The website you use to manage everything is similar to boardgamegeek.com in terms of usability. I know – yikes! When you change a feature, add funds to your account, intercept a shipment, or other tasks you assume are automatic, you will find that some require manual intervention from someone in China before they are completed, so when you click a button, be prepared to wait a long time before it does anything. Overall, communication is acceptable, I suppose. It gets the job done, but it will cause you some headaches and take more time than you think it will. Will We Use SFC Again? The financial and schedule savings we get are worth dealing with some communication and user interface difficulties. The quality of their shipment packaging adds risk to your project and is what keeps us looking for alternatives, but for now, we are giving them another shot. They shine when shipping a small game where extra shipping protection is not required, but even for a bigger box game, they can work pretty well as long as you are extremely specific about how your game needs to be packaged. If you’re seriously considering SFC, just send a few copies of your game to one of their warehouses and create some orders to learn the process well before you begin using them to fulfill a campaign. Very insightful post. I hope more of these companies pop up over there. Thank you for this invaluable information! There is so much to consider when going the funding route of a Kickstarter, it’s quite daunting. I’m glad there are people willing to be honest and transparent about their experiences. I am shipping my game, Cauldron with them this fall – using them for worldwide distribution. The packaging warning is extremely helpful and so is the rest of the advice. You have my most sincere thanks for writing this up (and Jamey for publishing). I’m glad to hear it was helpful, Artem! Actually, I’m trying a new manufacturer for Booze Barons, which I believe is the same one you used for Cauldron, so maybe you can give me a heads up on potential pitfalls in working with them. I’ll reach out to ya so we can compare notes. Great timing guys! I was just starting to look into them for quotes on my upcoming project. Thank you so much for taking the time to share, and for giving a heads-up on those little quirks. Thanks Brian. Perfect timing. I’m getting quotes now with AdMagic and SFC for my kickstarter card game Roadkill Rivals. Planning to print and ship in Oct/Nov. When SFC drove to pick up your games locally from the printer (or vice versa, when the printer delivered to SFC), was the shipment insured? Like just in case an accident happened, so that you wouldn’t lose thousands of dollars worth of product? When I told AdMagic that Panda offered free delivery/pick-up with SFC, they matched it for me by delivering the product themselves to the SFC warehouse without charging me. I can’t guarantee that they will do the same for everyone but they were investigating a potential partnership with SFC as well the last time I spoke with them. That transfer from AdMagic’s plant to the SFC fulfillment center was handled 100% by AdMagic so any insurance purchased would have been done by them. Thanks for these excellent practical insights Brian and Jamey. As with any fulfilment service there are specific issues you need to manage. Ive been investigating the whole SFC bubble envelope vs box issue myself as I get closer to Monstrous global fulfilment. And I have some considered thoughts on 3 options I think will suit most creators. I’ll make a post on my site soon and update you here when its up. Awesome – I can’t wait to read it! My solution has just been to email them a few times to double and triple confirm that everything will be put in a box. I’m still nervous though because of the language barrier. If they don’t pack it correctly, there’s no correcting it afterwards. great article. Thanks for that! i already heard from others that they are good for small games. But it seems that if you’re specific, they can even handle full size games. And the EU-friendly option is also very(!) interesting. As a backer of many KS projects, here in the UK, shipping is a big issue. There have been projects I would like to back but are put off. I would pay more in shipping than the item costs. On average I am paying $10-20 shipping costs. How does it compare cost wise, with the current method of shipping to the US, transferring to the fulfilment centre and then their charges for final shipping. From the costs shown, all the destination countries are within a few $ of each other. templarwoolf: I just wanted to chime in about your comment (thank you for writing it). First, $10-$20 shipping costs is actually pretty normal. $20 is a bit expensive, but I don’t think a $10 shipping fee is unreasonable. As for the “current method,” I wouldn’t actually call that the current method. Maybe it is for some creators, but many are switching to the method I’ve written about, which is to ship from China directly to a fulfillment center in Europe (not the US) and then fulfilling rewards from there. That keeps costs low for you and is EU-friendly, avoiding VAT for you (the creator pays VAT upon import). For non-US backers what is considered reasonable all depends on context and its relative – how expensive is the base game? how big and heavy is the game? Do US backers get it free (shipping already bundled into the price) or is shipping separated for all backers? is it EU friendly? and so on. I think there are regional psychological proportion of shipping cost to game cost thresholds that all backers have in mind while considering shipping. Its a fuzzy thing but the proportion threshold probably increases in order from USA > Canada > EU > Rest of world. But global free shipping is changing that. Eg now that I’ve put the SFC method out there, and I know you can ship a light game globally for $10, I find it very hard to back light weight games that charge me $20 shipping for a $20 – $35 game. This attitude will increase for non-US backers as the SFC or other global free / levelled shipping solutions grow in popularity, and moreso with the the strong USD causing another layer of currency conversion pain for non-US backers. USA > Canada > EU > Other First World > Some Third World > WhereOnEarthIsThat? What has Tasty Minstrel Games started using? I believe they shipped direct from China in one of their recent Kickstarters. I’m pretty sure they’re testing out Send from China. Yeah, they used SFC for Flip City and they plan to use them for Scoville Labs as well. I was wondering how everyone is handling replacement parts when they use SFC? Do you ask to get them sent straight to you? If so, how much does that cost? Is VAT a problem for shipping the parts to you? And out to other people? Ian: Typically fulfillment partners don’t handle replacement parts. You would probably have the manufacturer send them directly to you or to your helpers around the world. Though if you do have a few helpers around the world, you could just send them each a few extra copies of the game to use for parts. Thanks for the information Jamey. SFC wont do replacements unless you create different SKUs for each component. I wouldn’t go there. I would ask your manufacturer to handle replacement parts themselves, or do it yourself with some extra stock… But, as with most fulfillment partners, you should send an extra 5% copies to SFC to handle a small % of lost or damaged parcels. For Monstrous I’ve had to resend about 15 or so copies (out of 1200) due to damage or loss so far. Ive also used SFC to send various promotional copies out to people after fulfilment and handle the webstore preorders I got too. Hey I’ve had a good look at the packing options at SFC. Its an exercise in cost of packaging and weight vs risk of replacement and resend costs. I’ve got some examples and scenarios mapped out. TL:DR Small solid boxes are fine to go out in a bubble envelope, medium sized / strong boxes are good to go with a couple of bubble wrap layers around the game box inside a bubble envelope, and larger or less structurally sound games are safest going in a box. This is a great resource, Kim! Thanks so much for researching this and providing it to potential customers of SFC. Hey my pleasure Brian. I’m glad it worked out for you guys after all. Your write up here is great too. Thanks for the post Brian! If you don’t mind, I was wondering if you consider this route to be Australia and Canada friendly as well? Depending on the cost of the game of course. I know in the case of EU there are some countries where there is no minimum threshold for a VAT tax, so you kind of still have to use the SendFromChina warehouse in Europe. For a low price game I haven’t seen a similar issue for Canada or Australia though. If by “friendly” you mean shipping from within that country, then definitely not. However, our Australian backers were some of the first to receive their games and none of them I have corresponded with had to pay anything to receive it. Our Canadian backers were the last to receive it and had to wait roughly double the time as the average non-Canadian backer as it sat in customs after reaching Canada. I’m not sure if anyone had to pay any duties or tax on receipt but the wait time was incredibly frustrating for everyone. Ah okay, well that’s good to know. I was thinking it more in the old understanding of it shipping without additional customs costs on the backer/consumer. So not ship within the country, but still not require to them pay extra after receiving the game. Great to know that Australia got theirs first! Australia currently has a VAT / GST free threshold of US$800 so unless you are sending a 10 pack of a big game there isnt really such a thing as Australia Friendly Shipping – other than mailing it direct from the point of manufacture to Australian backers or an Australian fulfillment company rather than routing the sends via US by sea then to Australians via crazy high USPS international post. Australians will tend to be very friendly if you make it cheaper for them to give you their money for your game. I contacted SFC awhile ago and they provided me with a rather helpful chart of countries with the minimum value to be charged duties/VAT/etc. I confirmed it with other sources as well and I recommend anyone using SFC to request it. I am currently in the midst of organizing shipping and one thing I have noticed is a good amount of inconsistency in charging duties. Essentially, games that are on the wire cost-wise of when a country will apply duties seem to have them inconsistently applied. In my case this is Canada, so I am playing it safe and shipping those orders internally. I am curious to hear if other game designers have had any issues with inconsistent charging of duties to their backers and how they dealt with it? I have also seen inconsistent charging of VAT/duty and I can’t say I have found a good solution for handling it. To be completely safe, I think you really just have to ship form within that country of interest. I truly try to stay positive but working with SFC just to set up an account sent shivers down my spine. I have nothing but bad things to say about my experience with them, including that they’re still holding my deposit hostage for 6 months now, after multiple requests for a refund. – A terrible service I’d talk anyone out of. Simply not worth the savings; you’ll pay in other ways. Thanks for chiming in, John. I agree that there are plenty of downsides to using them. The customer service is definitely lacking and they don’t make me feel like a special snowflake. The only reason we are still using them is that we have found downsides to every other option we have explored and they are both the least expensive and they ship to our backers very quickly. We are always looking for other fulfillment options and are even trying another company for a small part of our Booze Barons campaign as a test. John I had a decent experience with SFC. Yes its a big system to get your head around, and its by no means perfect. But overall Ive been quite happy with the results. Sending games myself from stock anywhere in the world for about $10 anytime I like is tremendously convenient. I saw in your comments on my blog that you expected various things from them that were never promised by them or me. However if they still owe you money you feel is due to you then I’m happy to do what I can to help you get that back. Feel free to get in touch. So late in reply here Kim. My apologies. Everything I stated on your blog was promised to me by them. To make something up would be grossly unfair and not my style. I’m happy to report that several more months later I have been issued my refund. : ) If you had something to do with that, thanks! I am curious what postage service other users utilized with SFC as I know that they offer a range of shipping methods including some quite cost-effective carriers such as WWAM and China Post. Does anyone have experience using these shipping methods? I have used a dozen different shipping methods with SFC. I have previously chosen the least expensive option that offers tracking. Unfortunately, I have found that SFC doesn’t send tracking emails for all options, even if they offer tracking according to their shipping calculator. All shipping seems to take between 2-10 weeks. It’s so hard to determine where a particular shipment will fall within that range, so if you use SFC, I would tell your recipients that it may take up to 10 weeks to receive a package. Thanks so much for positing this Brian! The manufacturer I’m talking to mentioned SFC and I didn’t know anything about them until reading your post. So I’ve got a couple of questions that maybe you can help me with: I’m thinking about using SFC to handle some of my international backers who aren’t in the EU. My game weights about 5 pounds, and I’d like to make sure that it arrives in good condition. Based on your experience, what would you/how would you communicate to them to best insure the safety of the product? Are there any specific packaging techniques you would recommend, or certain things that you would say to them which you know they’d definitely understand? Also, do you have any experience with their EU fulfillment? Do you know if they’d act as a cosigner for VAT? Hi there, Josh. Wow, 5 pounds is a lot heavier than even New Salem — you must have packed a lot in there for your backers. One piece of advice I have is that they call a standard shipping box a “carton” so that’s what you’ll want. If you don’t specify, they will use what they call an “envelope,” which will just be a thin plastic covering with some bubble wrap lining and will not be sufficient for your game. I’m happy to tell you that SFC is in the process of rolling out a new packaging option designed with Kickstarter board game creators in mind. Depending on your needs, you can add things like plastic corner protectors, custom box sizes, or foam padding. These customization will come at a price, a price which I haven’t been informed of yet, so I can’t comment on how high or low it will be. As for your EU VAT question, we fulfilled to EU backers for New Salem and Bombers and Traitors with SFC, but they didn’t have any EU-friendly options then, so backers at higher reward levels had to pay some VAT fees. Since then, they have created an EU-friendly option that we will be using for the first time with our Booze Barons campaign. Since we haven’t started shipping that yet, I don’t have first-hand experience with it, but it’s a one-size-fits-all option where they send it through Amsterdam and then to your backers from there. Thanks for taking the time to respond to me Brian, I appreciate your advice on this! Thank you for the feedback, it was very helpful. I have spoken with Kim as well and I think I have it figured out. Also, while I am at it, thanks for the podcast! It was part of my podcast curriculum while I was planning my Kickstarters. That’s great news, Trevor! Good luck with the adventure. Thanks for listening to the podcast/vidcast too. Our next episode, being released around November 15th, is actually all about Send From China. So if you’re looking for more on SFC or prefer a video or audio discussion format, you’ll be able to find it at theforbiddenlimb.com very soon. Having said all that you will still find SFC to be pretty competitive when shipping to countries where you have only a handful of backers like South Africa, New Zealand, Brazil and parts of Asia. At 5 pounds you want to send your game in a box with internal plastic corner protectors. RF I’m going to ask SFC what happened here. I’ve now received a range of different packages wrapped in bubble wrap envelopes (zero damage if its a small reasonably sturdy box), double bubble wrap (perfect condition again), and a boxed game from SFC. This is the first time I’ve heard of SFC items being sent out with incorrect packaging after explicit instructions to package them in a certain way. I’d like to put this down to miscommunication or human error, rather than assume a systematic problem. Oh no, that is terrible news, but thanks for letting us know. I am aware of two shipments of a single game (there could be more) since this article was written that were put in an “envelope” after I had told them to put it in a “carton.” The language barrier definitely opens up the door for misunderstandings and adds risk to any fulfillment using SFC. If nothing else, this is a lesson learned for everyone else that if you choose to use them, you should triple check with them asking how they will package the shipment to ensure there is no miscommunication. I’m going to go out on a limb here and suggest that maybe developers find and pay a native mandarin speaker to assist with these types of interactions. If they are local, literally show them the type of container that needs to be used. Anyone had any experience with that? I think it might be a good work opportunity for someone who is bilingual and can handle interfacing between nations. Zachary they have people who can easily understand a creators box dimension requirements. The issue is that they don’t have a standard set of boardgame sized boxes in house because they do so much more than games. That’s something I’m working on as we get their heads around boardgame fulfillment requirements. wish me luck. Ahh, thanks for clarifying. From what I’ve read and heard Brian say, it seemed like there were language issues in describing the necessary packaging types. I have certainly run into a few times when I have asked SFC for something, they said they would do it, and then they didn’t do it. It sounds like RF has as well. It’s either a language issue or a disconnect between the customer service representatives and the warehouse staff. Either way, it’s what keeps me searching for a new fulfillment option. Zach, I like your idea to hire a Mandarin speaker to oversee the effort. If there was an affordable option, I would pay for it. Sadly, the tabletop margins do not provide much for additional funding for this kind of thing, but creators could build it into their financial model from the beginning if they know they’ll need it. It’s also too bad that this is necessary — it seems like a fulfillment company should be able to function without a babysitter. Thanks for this amazing post. As a first time board game Kickstarterer / wannabe publisher, I find this all terrifying, as you can imagine, so it’s great that the community is so darned helpful! So with this new EU Friendly shipping service that SFC offers, very roughly how much more would that cost than air mail? Could I expect to pay roughly the same except for the additional VAT that would be due? Or would it be closer to two shipping costs, for the China -> Amsterdam and Amsterdam -> doorstep legs of the journey? And in a similar vein for Canada, the only other territory I’m aware of with an awkward VAT threshold, do SFC do Canada Friendly shipping, or if not is there a recommended distributor within Canada, and how much more than Air Mail from China could I expect shipping to cost? Hi Tim. I’m glad you found the post useful — I know how terrifying this process can be so I’m happy to help. You can find prices for different shipping services on the SFC Shipping Calculator (https://www.sendfromchina.com/logistics/shipping). As an example, I put in the weight and dimensions for New Salem going from their Shenzen warehouse to Germany. Using the EU Friendly service (EUEXP3), it would be 102.4 CNY ($15.93 USD). The other services are somewhere around 80 CNY ($12.45 USD), so it would be about 28% higher to use the EU Friendly option. Note that shipping prices change every day, sometimes significantly, and they will vary depending on the size/weight of your product and the country to which you’re sending it. This sounds like a great option for those Kickstarter’s with small dimension games. At $5.24 I can guarantee that’s cheaper than anything you’d get in Canada with tracking. On the larger side though, it looks to be roughly equivalent. WORST EXPERIENCE EVER, poor customer service! poor IT software. They will delete your Orders from their system six months into using it because of performance issues. No sense of professionalism and anticipate 25% of the shipments to be lost/not delivered. Sean I’ve not heard anything close to these complaints about SFC and I’ve been in touch with many creators who use SFC. The fail rate is usually well under 1%. See an example from another creator here https://secretbasegames.com/secret-blog/20-good-cheap-fast-global-kickstarter-fulfillment-part-3-proof-the-grail-games-interview and much of that seems to be in relations to countries like Brazil – notorious for local postal corruption. Its cheap in part because you do manage it yourself via their software. Most people seem to get the hang of it very quickly and have found their SFC rep happy to explain anything needed. I’ll ask about deletion of old records… and whether that can be stopped upon request. But so I understand, why would you want to keep old records of what you sent 6 months ago? SFC will soon, or are already also offering to handle the order submission process entirely themselves. I’ll investigate the extra fee for this and post it here. If you have a series of specific actionable complaints about your experience with them I’m happy to pass those along because I have their ear. And I’m interested in issues that arise. I just completed my first Kickstarter (funded last weekend) and I am lost about fulfillment. I’m printing in China and was considering going through ShipNaked, but am unclear what kind of import duties I’ll have to pay to get it in the U.S.
We have backers around the world, but the majority are in the U.S. And our game is small. I like how SFC seems to save on costs for our international backers (and us), but I’m not clear on how it will affect our U.S. backers (will they need to pay import fees?). If someone more experienced has some time in the next week to chat with a newbie, I’d be pretty indebted for the help in navigating and understanding these issues. Jay what will work best for you depends on a few things. How heavy is your game? How many optional extra are there to pick and pack? Let us know here or in https://www.facebook.com/groups/KickstarterBestPractices/ and you will get some decent opinions. Shipnaked have great customer service and the prices are generally good but you will likely ship internationally cheaper via SFC and faster to everywhere too because they go straight out via airmail from China – no ships or ports involved. So it kinda depends on what you charged and how much of your KS margin you want to spend on shipping and how fast your promised delivery. US backers don’t pay any extra customs for mail orders under US$200, Australians don’t pay any customs on items under AU$1000 (there’s really no such thing as Australia friendly other than to not charge Aussies the same costs as the game to ship it), Canadians don’t pay HST on things under CAD$20 and EU residents don’t pay VAT on items valued under 22 euros (except France, Sweden and Greece, Denmark and Romania I believe who pay VAT on anything that moves). Thanks, Kim. I applied to the Facebook Group. We have about 1100 games going to 700 addresses. 35 backers will get a small extra (three custom cards, we were planning on separating these out ourselves and sending them as parts to the fulfiller) — there’s a couple other extras that we may just have to ship on our own separately. Our game is small and lightweight, a standard deck of cards, probably 4.5 oz. We also want to get about 400-800 copies delivered to us. There’s a lot of shipping options at https://www.sendfromchina.com/logistics/shipping, and I’m unsure if you just select the cheapest or how you choose which option is best. Kim, how do I gain access to the KickstarterBestPractices Facebook Group? Jay There should be a button to join in the the header. An admin should approve you there. Kim: Tried a couple days ago, but didn’t get accepted in. Very very helpful article. Thanks for that! I have one question about SFC. Why should I choose (least expensive) option with providing tracking? Why tracking? I want to send 2200 copies and tracking will be crazy to monitor… I am planing to choose cheapest shipping option .. Bad idea? Please help..
Lukas: My backers always seem to value tracking so they know to look out for their packages when they arrive. If backers aren’t sent tracking numbers, they’ll contact you asking for them, so it’s helpful for you to have them as well. Yep, Jamey is right on with his answer. It could take over a month to ship some packages depending on where you’re sending them and the shipping method you choose so both you and the backers of your campaign will start getting nervous when it takes that long. If you have a tracking number, it will help you understand if the package is lost, damaged, stuck in customs, or still on the road. Another note: It appears on the SFC user interface that recipients will get an email with the tracking number once it leaves the SFC fulfillment center, however, that feature has been broken for a while now, so just be aware that you’ll need to send backers tracking info when they ask for it. The cost of tracking via SFC differs depending on where you are sending to. For the USA the difference between tracked methods and non tracked methods is a few cents. For other major destinations like Canada, the UK and Australia it is as high as $2 extra per package at my package weight (650 grams). So it bears thinking about. The cost to resend the handful of apparently undelivered packages is likely to be far lower than the cost to pay for tracking for everyone. But the first packages sent from China started arriving within 3 to 5 working days from China to the USA, UK and Australia. Of course its the trailing packages that will create the angst so Im expecting some increased communications from backers in another couple of weeks, despite my framing. Other creator’s experience has shown very few problems with missing packages over the whole delivery window, although they do confirm the wild variation in times sometimes even with 1 week diff for 2 different packages sent to the same house. This is not SFC, they send out packages in 1 or 2 days after order processing. It happens down the line as packages move through transfer points and into national postal systems. see https://secretbasegames.com/secret-blog/20-good-cheap-fast-global-kickstarter-fulfillment-part-3-proof-the-grail-games-interview for more info. Brian what % of undelivered packages within the delivery window did you experience? Yeah, it’s worth considering skipping the tracking if you want to save some money, but when a backer asks when their package will arrive and you have no idea, it’s a feeling neither of you want to have. Very icky. The shipping times are too inconsistent for me to forgo tracking. I don’t have any data on this, but I would guess that 60% of the packages do not arrive within the delivery window SFC quotes on their website so I don’t pay much attention to it. I would guess that 15% take 2 weeks or more passed the time frame quoted and maybe .5% are reported as never arriving. Sometimes packages will sit in customs for weeks, especially those going to Canada, so I want to keep an eye on them with tracking. These percentages are all just ballpark estimates, but hopefully it gives you an idea of what to expect. OK thanks Brian, I’ll compare those to my figures when I’m done. I can also confirm from backers that SFC seem to have followed my packaging (bubble wrap inside a bubble wraps envelope) instructions to the letter so far. I added instructions clearly into the system for the creation of this SKU, and I made a simple pictorial 3 page instruction doc and had my account manager translate it and provide it to the warehouse staff. Seems to have worked out fine so far. Will report again closer to the end of fulfillment. LOL I’ve since discovered that about 200 copies of my 740 first wave MONSTROUS sends were sent out in 2 bubblewrap bags rather than the more protective 120cm bubble wrap sheets wrapped 2 or 3 times around the game then placed inside bubble wrap envelopes I instructed them to use. This was done after they ran out of bubblewrap, without telling anyone, while responding to my err… forthright encouragement out all the games ASAP. I guess at least someone at least took the initiative to double bubble envelope the remaining 200 copies of wave 1 sends (out of 740), without telling my account manager, while they waited for more bubble wrap to arrive. 1. Ensure all potentially required packaging is kept well stocked. 3. Account manager tells client they have run out of the requested packaging, determines how long it will take to replace, and asks the client whether they would like to proceed with another packaging solution or wait for packaging restock. They took that on board and I certainly received a sincere apology and they went to reasonable steps to ensure all remaining packaging was done as requested. I am able to lodge insurance requests with SFC to cover damaged items but I’m told it is hard to prove because they dont cover damage incurred to packages in transit. I cannot prove that certain items were specifically damaged to inadequate packaging so I’m not optimistic I’ll see any insurance payout to cover the costs of damage replacement. Next time my instruction sheet and communications to my account manager will stress that items MUST be wrapped as instructed. If things run out or for any reason they cannot, then stop, consult and await instructions. Overall I’m still satisfied with the service I’ve received. They have been reasonably responsive by skype and email. I really appreciate you keeping us informed, Kim! Thank you! Yeah, thanks for the update, Kim! I look forward to hearing how this story wraps up. I’ve had similar experiences with SFC and it’s what keeps me searching for alternatives. They have many advantages, but there is a serious lack of interest in keeping their customers satisfied and ensuring packages are delivered safely. Each time I fulfill a campaign with SFC, I also take a subset of shipments, usually my pre-orders, and try a new fulfillment method with them. I keep looking for the silver bullet but I haven’t found it yet. No problem at all Jamey – I’m following your lead and exploring options that are good for certain types of projects… hopefully for the good of all. Brian I don’t see it a a lack of interest in keeping us happy, they have shown a lot of willingness to work in ways I need. Ive certainly been happy enough with my account manager. I think its more fair to say that there might be some internal communication flows and responsibility loads that make it hard for account managers to be 100% aware of everything going on. I keep coming back to the fact that they are a broad based fulfillment service and that the particulars of boardgame KS fulfillment is relatively new to them. And we are making progress in how they handle them. But I suspect it will always requires very clear instructions docs for packaging, with absolute do’s and don’ts, and working closely with account managers (via skype where possible). Tough times zone shift between North America and China I know. But it might suit if you have to slip into game publisher mode after regular job hours. I’ll try and make some how to work with SFC recommendations after I’m done. And like you guys, Im always open to better singular global fulfilment options should they come along. Jamey, I am considering using SFC for our upcoming Kickstarter, but what I haven’t found info on is compiling product together into a package. A big part of our Kickstarters are the add on items, and stretch goals items. We can ship our games to them from our factory in China, and have them fulfill those shipments, that seems easy enough… but can we also send a separate shipment from the USA of our add on items that can then be compiled into packages and shipped out? We do this through our EU fulfillment comapny right now and it works well, but I’m not sure if SFC would handle things like this? Hey Eric — I know you directed this towards Jamey but since he has never used SFC, I’ll answer. Yeah, you can ship items from the US into the SFC fulfillment center. We did this for some custom trays we offered for New Salem. However, we had to pay a large customs fee on them to get them into China and then of course there was another customs charge when shipping from China out to each backer. So you can do it, but just be aware of those added expenses. Thanks for gettting back to me Brian, appreciate it. 1. Shipment of games goes to them from my factory in China. 2. Shipment of add ons goes to them from my warehouse in the USA. 3. I supply them with a spreadsheet giving them the items required for every shipment. And then… They compile things from both shipments to all of our backers. Some backers would be receiving 4 items, some would be getting 8 items, etc. Would we be able to designate what units go in each individual package? Or do they really only work well in shipping out one item in a box? Your mention of the custom trays, I wasn’t sure if you compiled that in shipments to backers along with the games themselves? I’m guessing yes, it would be silly to send 2 separate shipments out to backers, but I want to confirm this. I’m also considering just using their services in the Non-EU/USA/Canada shipments for a first try so that we can get used to working with them. I already have those locations covered by separate fulfillment, although of course it would be great to have things shipped out to all of our backers direct from China simultaneously. Yeah, I would highly recommend doing test shipments or only using them for a subset of your fulfillment first. Their system is not very forgiving in many ways. Your #1 and #2 goals are supported, but simply supplying them with a spreadsheet (#3) isn’t going to happen. You’ll have to use their painfully slow website to setup everything about your items and orders. They do have a spreadsheet template you can load your data into and do a bulk upload, but that is also full of surprises. For example, it doesn’t handle rings and dots and accents for any characters, which are common in addresses and names. You’ll be able to choose which SKUs go in which shipments, so sending 4 items to one backer and 8 items to another is fine, but you’ll have to convert your data into their template format or manually input them on their website. SFC has plenty of advantages but it is not the easy button. You need to be very careful and do a lot of micromanaging. Using them comes with significant risk. Great information. I am planning my first KS, and am paralyzed in just figuring out estimated costs. The cost difference between SendFromChina seems so much cheaper, but so risky. They have been unresponsive over email. They appear to be a company that doesn’t care, but the other option is to charge my backers $18/game more for outside US shipping, and pay a huge shipping fee to get the games to U.S. Amazon FBA or something like it. The cost difference could be the difference between success and failure. Would it help to have a Chinese speaking friend communicate with them? That might help, but the communication itself wasn’t that bad, it’s that they say they’ll do one thing and then they do another. Then when things go wrong, they don’t take responsibility. When I ask for a refund for damaged board game boxes due to insufficient packaging, they say they won’t give me one because what was inside the game box is undamaged. They don’t understand that the game box is part of the game. So you’ll probably end up spending more on shipping new games to people than you saved by using them, plus you’ll be hurting your brand with bad experiences for your backers. They just don’t care about their customers. Just a thought, the kickstarter campaign Burger Up had their manufacturers put their single copy pledges in a shipping box before sending the games to SendFromChina. This avoided the SendFromChina packaging fiasco but still allowed them to use SendFromChina’s superior shipping rates. That’s definitely a realistic possibility and I’m glad you brought it up for others to consider. Kim provided some very valid concerns and direction to keep in mind. I wouldn’t use SFC to ship a game over .75kg because of all the trouble I have had with them, but if you really wanted to, this would certainly get around the risk of damaged packages. Every other fulfillment company I have used will make sure your items are securely packaged for safe delivery without having to pay a manufacturer do it so it’s too bad that SFC can’t do it to save you the hassle. I’m not sure it will save you time since you’re either doing it at the manufacturer or the fulfillment company and the manufacturer isn’t used to worrying about picking and packing. That might add to mistakes in getting the right items in each box, but it might save you money if your manufacturer doesn’t charge you too much for individual packaging. As risky as using SFC is, it’s super nice to have a one stop shop for your fulfillment. Brian SFC can package your items, no matter what weight, in whatever box you provide to them. send your games to SFC prepacked in mailer boxes by your more reliable manufacturer. That is i think the more fail proof method assuming you have a simple project. You will need to pay someone to pack your games wherever it is done I think. And pay for the boxes. It is worth comparing those costs. But reliability and consistency are factors too. I agree that whilst SFC has its issuess they can be worked around. The appeal of SFC operates at a few scales. 2. The most affordable fulfillment to locations where you dont have the scale to justify shipping games to a local fulfillment agent. 3. Express shipping for high level pledge tiers. Pre mailer box packed games works well with each of these. The main question for me after this would be how to handle complex pick and packs. Ie with manufacturers or via SFC. Both should be able to handle it. Jonathan the method of having manufacturers package game boxes in robust individual mailer boxes with internal corner protectors is the best way of consistently packaging and protecting items across all methods of fulfillment, including for Send From China. Australian publisher Rule and Make’s Burger Up was the first project to do it as far as I know and they had very few issues sending via SFC in these boxes. For our next game Unfair (a large 2kg box game) we are going to trial having ALL our Kickstarted copies packaged in mailer boxes and shipped off to different fulfillment centres, including Send From China, ready to be simply labelled and mailed out. This will speed things up and ensure consistent branded packaging for all backers. I predict this method will be reasonably commonplace within a year. There are a few provisos. 1. It generally works best for uncomplicated projects that don’t offer many add-ons requiring individual picking and packing. Fulfillment centres will hate you if you ask them to slip something extra into these prepacked mailer boxes. Don’t go there. 2. Only some manufacturers currently offer this service. Longpack and Ninox being 2 I know of at least. Ask yours if they can do it too. 4. It may cause issues with some postal services ie take your game over certain weight or size thresholds in some countries that incur extra charges. Best check. Using this method with Send From China in particular is highly recommended for games over a certain weight (about 1lb or .6kg). Alternatively you can order specific mailer boxes for game to be packed in. SFC DO NOT provide or make these boxes but they can put you in touch with people who do. 5. It adds to your volumetric sea and road freight costs. But you might still save money by having the packaging done in China with it’s lower wage costs. Great idea Kim. I will have this done for our next larger box projects too! An alternative is to look at ZhenHub – http://www.zhenhub.com. They do fulfillment from China or alternatively help you get your goods to US or Europe and do local fulfillment. Michael/Vince: Thanks for sharing your company with us. If you would be interested in adding your company details to our Google doc about fulfillment services, please contact me at jamey@stonemaiergames.com. Please don’t think as an advertisement. Myself Dileep used to work in Fulfillment Industry in China for 4years.Was a nightmare !! Personally had a lot of experience with said fulfillment company SFC. As my passion in this Industry, we developed on the ground of whole experienced foreigner team in China ( Shenzhen) come up with a new Fulfillment Platform Call FULFILLMEN.COM ,E-commerce Order Fulfillment Platform with Free Integrations with all major Shopping carts. Proud to say that we hitting now per day 3k-4k individual orders with more than 3000sqm warehouse facility. Hello, given that the original information in this article is from 2015, I am curious if SFC is still considered a good/viable choice for Fulfillment needs in 2018. Going into my first potential large volume game I am trying to find a simple yet cost friendly solution to shipment options for a Kickstarter Campaign. Would you recommend this service now, and has anything significant changed since the original review of SFC? I had some very bad experiences with them and I haven’t used them in a couple years so I’d see if you can find someone who has used them more recently — maybe things have improved. I’ve heard ShipNaked is simple/straight-forward so you might want to check them out, but I haven’t personally used them. I have used VFI once or twice and I was happy with them. They are probably the most popular fulfillment company for tabletop games out of China so they know how important it is that boxes arrive undamaged. I recently tried ChinaFulfil and they have worked pretty well so far as a Send from China alternative. China Division is another option but I couldn’t get them to respond to my emails so I haven’t used them. You could try them and maybe they want your business more than they wanted mine. :) Does anyone have any others they have experience with? I’m sure there are many more options out there. Great post! I know this is old but do you know of a similar company that ships out of India? Thanks! I haven’t heard of such a company, Don. Hi Jamey. Thanks for continually updating such a great resource. Just wanted to know if you still think fulfillment in Europe (from manufacturers in China) is the easiest, most cost effective option? In 2015 you seems to sway this way, but I wanted to see if your thoughts had changed on the matter. Thanks! Colin: my preferred method is still to ship to customers from within their region. My view (from a smaller company than Stonemaier) is that your optimal fulfillment option greatly depends on the size of your project, which I understand isn’t very helpful and makes it ridiculously difficult to correctly price your rewards on your Kickstarter campaign. Shipping to many global fulfillment centers comes with a high initial cost in freight shipping your games there and then shipping each game from there to your customer is significantly cheaper. You need enough backers in each region to cover that initial freight cost before the cheaper local shipping will save you any money. Agreed, we have helped quite a number of Stonemaier members. Especially for Europe, it is preferred to ship to our fulfillment center (duties and taxes already paid) before distributing to customers. There’s a bit more certainty. But again, you need enough volume in each region to make it cost effective enough.